Virtually every country in Africa has some form of artisanal and small scale mining, however artisinal mining practices can be highly dangerous. African artisinal miners use toxic chemicals when mining, causing extreme damage to health. 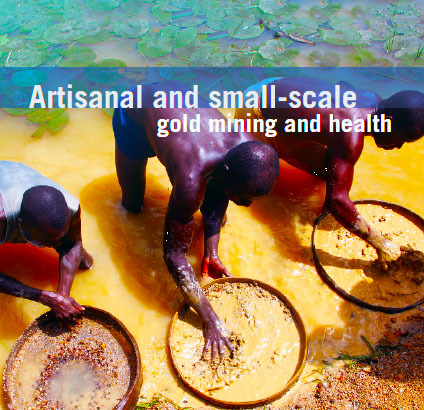 Ministers, officials and health experts from across Africa, the World Health Organisation (WHO) and the United Nations met to push forward action to halt the damaging effects of artisanal and small scale gold mining on human health and the environment today (6 November). Virtually every country in Africa has some form of artisanal and small scale mining with more than 54 million Africans estimated to be dependent on the activity for their livelihoods. “Small scale gold mining is a crucial source of income for millions of Africans, but it is often dangerous, damaging, and in the worst cases, deadly, for artisanal miners,” said Dr Magaran Bagayoko, Director, Communicable Diseases Cluster, WHO’s Regional Office for Africa.